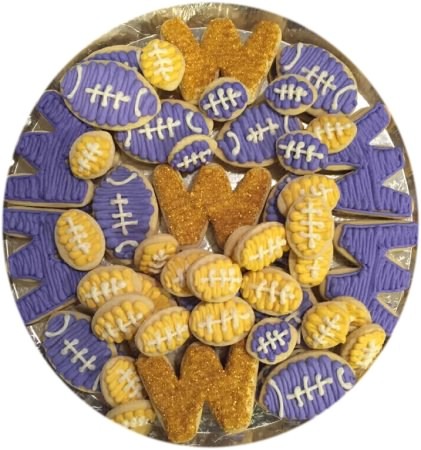 Decorate a tray of football cookies for this weekends college football game. Grab Purple, gold and white gel paste food coloring. Some gold glitter to make the W shine. If taking to a friends house, let them dry over night. Then you can stack for transporting. Go Dawgs!